It is almost inevitable that your car will break down on the road at one time or the other in your driving career. This therefore means that you should be prepared to deal with the unexpected intrusion into your daily routine as soon as possible so as to minimize any damages that the disruption may cost your business or your daily affairs. This is very important to people who operate trucking businesses and to people who use their cars to get to their places of work or to conduct their businesses. One of the most important things to find out about any towing service company is whether they are legally licensed to operate in your area and whether they have insurance. Using an auto towing service that has not been legally licensed will only lead to disappointment and frustration, especially when it comes to claiming compensation from an insurance company for any expenses incurred. A towing service that is not insured could expose you to huge losses since they would not be able to compensate you in the event that any further damage to your vehicle happened while said vehicle was in their possession. 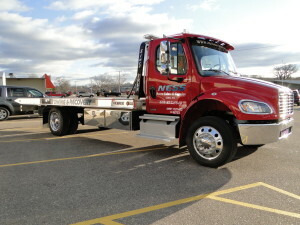 It is also important to ensure that the towing service company that you choose has a good customer track record. This will improve the chances of you getting value for money spent when you call them to help you tow away your car. Word of mouth recommendations and other customer testimonials will also feature here and help give you a clearer picture of the company that you have decided to work with. Friends, family members and coworkers who have used the towing service before will be able to tell you whether the service would be a good choice or whether you would be happier choosing a different company. All good auto towing services are competitively priced so as to capture a big slice of the market. The charges for services rendered should not be too expensive or too cheap for your liking. Towing services that undercharge are often hiding secrets that can prove to be devastating to your financial profile. For example, a towing service may undercharge possibly because it does not pay insurance or license costs, thus giving them room to undercut their competitors. However, this could expose you to massive losses. As such, only stick with reasonably priced auto towing service companies and you will have nothing to worry about.